We kick off the new season with a look at 2017 announcements from Cedar Fair and Six Flags. CoasterRadio.com is back and ready for its 11th Season! We start off by taking a look at the winners of the 2016 Golden Ticket Awards. Each year, Amusement Today recognizes the best of amusement parks worldwide. Did they get it right? Or did they miss the mark? We also take a look at the 2017 attractions announcements for both Cedar Fair and Six Flags. Do the theme park companies have incredible new rides in store for us? Or will 2017 be a year to forget on the midways? 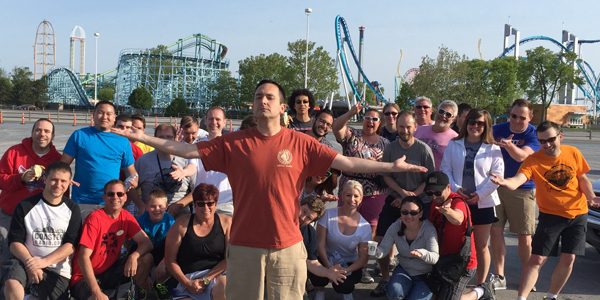 We also have news about the CoasterRadio.com Listener Meet-Up on Saturday, October 8th and the results of of 2016 Listener Survey! It's all this week on the first episode of Season 11 of CoasterRadio.com!